This was my second visit to the beautiful Island of Singapore - a perfect location for the inaugural Fieldwork Curriculum conference. Over two days I attended several very interesting Early Years schools led workshops. The first workshop I attended was delivered by Mahuban Ghosh, from SM Shetty Early Years based in Mumbai, India. Her presentation got us all thinking about how schools connect the IEYC principles to their own curriculum. She discussed the expectations of parents and the way her school had worked to gradually change their mindset to accept a more flexible system. She outlined the steps they took to introduce parents to accepting the concept of their children being invited to learn rather than being overly instructed. Sakarsari Suyona and Okke from Royal Tots in Jakarta gave an energetic workshop focusing on fine and gross motor activities such as baseball and catch. Their aim was to demonstrate how developing these motor skills within children will lead to improvements in later writing skills. They addressed the challenge of convincing parents of the value of these activities to their children. Especially as some parents might prefer seeing their children filling out worksheets to demonstrate writing and math skills. Royal Tots explained how they communicated to parents on the importance of the link between child development and their curriculum. They also outlined how the Indonesian Ministry of Education and Culture had begun to shift their expectations of Early Years to a more play-based approach. 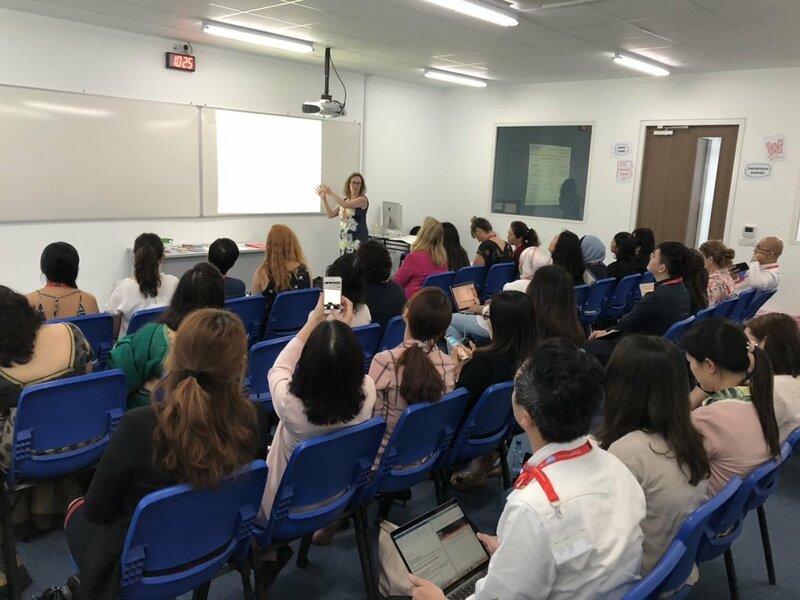 Kim Clinton and her team from ArtsKidz in Singapore discussed the concept of differentiation and how her school had connected the IEYC curriculum to suit the unique child. They also demonstrated ideas for enhancing both the environment and resources to suit all needs of the children. 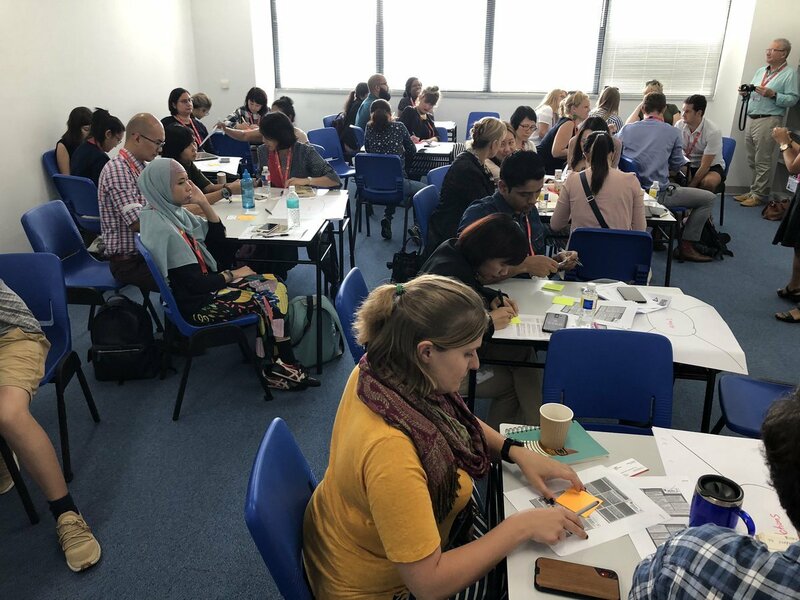 Melissa Payne from French International School Hong Kong focused on how her International School in Hong Kong had adapted the IEYC curriculum to suit their own play-based pedagogy. Participants gained a huge understanding about the learning process by following the school’s journey of implementation. Finally, was the wonderful display from Shelagh Green from Panaga school in Brunei. She had prepared and brought folders of children’s work. These beautifully demonstrated the entry to exit point of the unit “Imagine That”. Through their children’s artistic endeavors, using a number of different media and techniques, participants could clearly see this unit in action. It was inspiring to spend two days seeing and experiencing the skills of our International teachers. I left Singapore feeling enthused and proud.